whole voyage for them during 12 the April to 19th April 2017. So I have made one suitable travel plan for them and they settled to come with it. On 12th me and my friend went to the railway station at Guwahati to receive them to start the tour. The guests were 8 persons all together and we had 2 vehicles with us. So we have started our journey to Meghalaya. That day the weather was pleasant and cool. We drove down towards Umium Lake which is on the way to Shillong. Before that, we had halted in a restaurant near Nongpo (a place) for breakfast. After a while, we restarted we journey towards our target. On the way, we have seen the magnificent landscape of Meghalaya and the curvy roads with the zephyr were giving us some positive vibes of those places. After reaching Umm lake we all got down from the vehicle and started roaming there. Some friends wanted to go for Jet Skiing and some wanted to go for a boat ride. With mentioned some went for Swimming near the lake where there is a resort which has a swimming pool. After all these, we have started our journey again. On the way, we've halted in many viewpoints and did some adventurous activity. We all did the Zip Lining which was very adrenaline and it was like putting on all kind of Harness, clamp, and helmet and that actually crossing the one mountain to other and come back in the same way. It was an amazing experience in a lifetime. After that, we were heading towards Cherrapunjee. By the evening in Cherrapunjee, we all relaxed at the resort and gathered for the bonfire. It was cold in the night and we all shared our experience of the day. Next morning, we started early to see places. 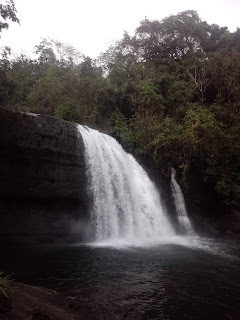 So we went to Dainthlen falls which were near to our resort. We drove through mountains and streams and reached there. It was an amazing view of the falls. After Dainthlen Falls, we went to Nohkalikai falls which were 9 kilometers from the first one. As we were there it was clouded everywhere, so we waited for an hour or so. After some time when the clouds disappeared, after that only we were able to see the magnificent view of the Nohkalikai falls. We all were stunned to look at its beauty and the boldness of nature. Then wee moved to Seven sister’s falls. The seven falls plunging parallel from the mountain beautifully, that is the reason it is called seven sister’s falls or Nohsngithiang falls. By evening we head back to our hotel. Next morning, we started early to see double decker root bridge, which I have already shared on my previous post about it. We have finished this trip smoothly just like other tours I did. For more info visit our website.